While The Tecma Group of Companies could easily be considered an international business consultant, we’re really so much more. In fact, we prefer to offer our turnkey corporate shelter services to maximize our client’s efficiency and profit. If you’re an international business consultant and are visiting our site, thanks for dropping by… We’d love to team up with you! We’re always looking for good clients, and you’re looking for the best options for your own. We’d like to become your resource for offshore manufacturing. If your client is trying to improve the bottom line, having trouble making a decent profit in their current manufacturing location, we can help. Tijuana and Juarez, Mexico have a multitude of advantages over other possible places to choose, and we’d like to explain why it may be right for your client. We offer a free informational kit for any international business consultant who is savvy enough to understand the multitude of benefits offered through a corporate shelter program. Drawing from decades of experience, we’ll provide you with all the information you’ll need to know to advise clients considering offshore manufacturing, and specifically, about manufacturing in Mexico. It’s a simple formula… You let us know what you need to adequately present this option to your clients, and we provide it at no charge and with no commitment on anyone’s part. If you’re an international business consultant, give us a call or drop us an email and we’ll send you a maquiladora information kit. If you’re client wants to explore manufacturing in Tijuana in more depth, we’d be glad to conduct a tour for them. 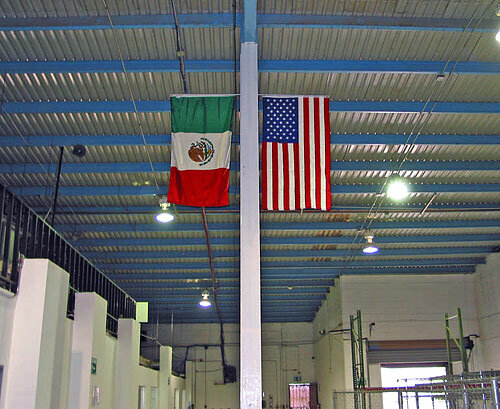 Why Recommend Border Assembly, Inc. and Tijuana, Mexico? There are more maquiladoras in Tijuana and the state of Baja California than any other region in Mexico. Conscientious, hard-working individuals are the backbone of Tijuana’s highly successful maquiladora industry. And Border Assembly’s maquila workers enjoy numerous benefits including housing and transportation allowances, paid vacations, profit-sharing, healthcare, and performance bonuses. Tijuana has a diverse, extensive system of transportation, and includes truck, rail, air, and proximity to major West Coast marine terminals. It’s not so easy to throw your goods on a truck for shipment to the Midwest if you manufacture in China. Why should your client risk manufacturing so far from the United States, having no control over production quality and spending twice the money for transporting their finished goods, when Tijuana is right in their backyard? Tijuana gives your client superior access to U.S. and Pacific Rim markets. By being just an easy flight or drive away from your maquiladora in Tijuana, you can make frequent visits and ensure quality control. That’s just not possible when you manufacture in China. Even better, as part of Border Assembly’s corporate shelter program, a production supervisor from the client firm oversees operations. Unlike most other offshore manufacturing locations, money paid to Tijuana maquila workers actually filters back into the United States economy. And not just pennies, but billions of dollars annually. The border between San Diego and Tijuana is the busiest in the world, partially due to Mexicans crossing to the north to shop!